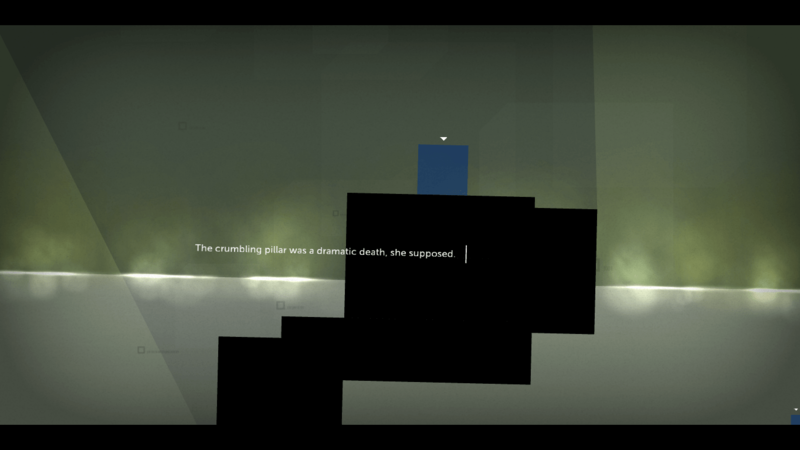 Thomas Was Alone, created by programmer Mike Bithell, is a simple game with a minimalist style. You play as a couple of different colored blocks, each with their own delightful personalities and quirks, as they try to navigate through an artificial intelligence program and escape into cyberspace and beyond. It’s a fairly straightforward game, with little in terms graphics. However, it is in this simplicity that the game shines – substituting graphics for a story that reaches for the heart, rather than for the stars. 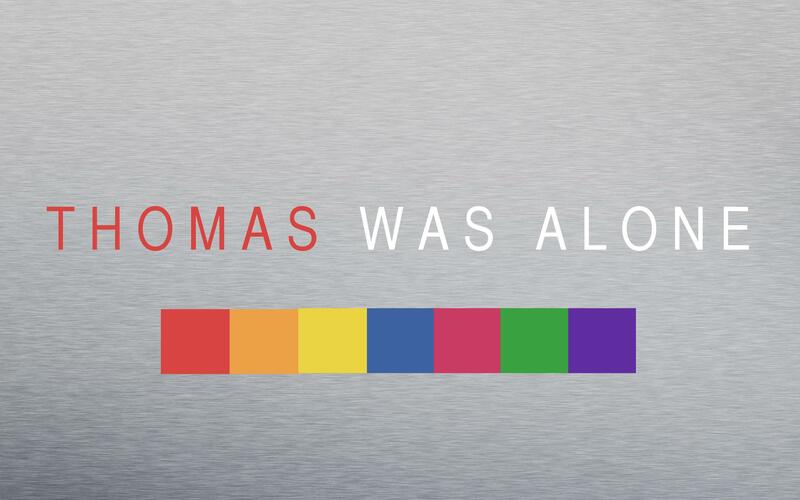 Narrated by a sarcastic British fellow, Thomas Was Alone exists as an exploration of loneliness, friendship, and sacrifice. The game itself is very clean and smooth. The mechanics are incredibly well thought out and, though the challenge exists, the game never gets too difficult. It is a casual game in every sense of the word. Players need only understand how to move back and forth, jump, and toggle which block to control – making it an excellent entry game for someone still learning how to use a controller or a keyboard for gaming (see: my girlfriend). The beautiful thing about the game, however, is that it continues to grow, putting what players know about the mechanics to use in different ways in every level. New challenges arise in each level that require gamers rethink how to make the blocks interact with each other. In this way, the game stays fresh, never falling into the stale repetitiveness that a few too many side-scrolling games have a tendency to do. 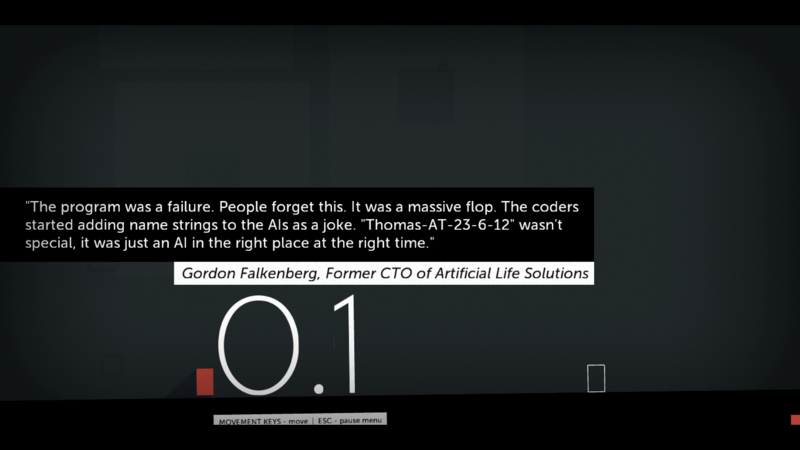 Bithell can only be described as a genius as he manages to create incredibly sympathetic characters out of simple geometric shapes, giving the game its soft, melancholic feel throughout its journey. And as the different sized blocks begin to rely on one another and trust each other to overcome seemingly insurmountable obstacles, we as players are drawn into their circle of growing friendship and quickly find a place of our own amongst their geometric adventure. It’s a touching game that, though it ends all too quickly for my liking, finishes with such an unexpectedly bittersweet ending that I couldn’t help but feel a little alone myself as the credits rolled by.